so finished watching kekkieshi with my mate recently, hes very sweet and loving and it inspired me to get back into my habbit of using MS Paint. 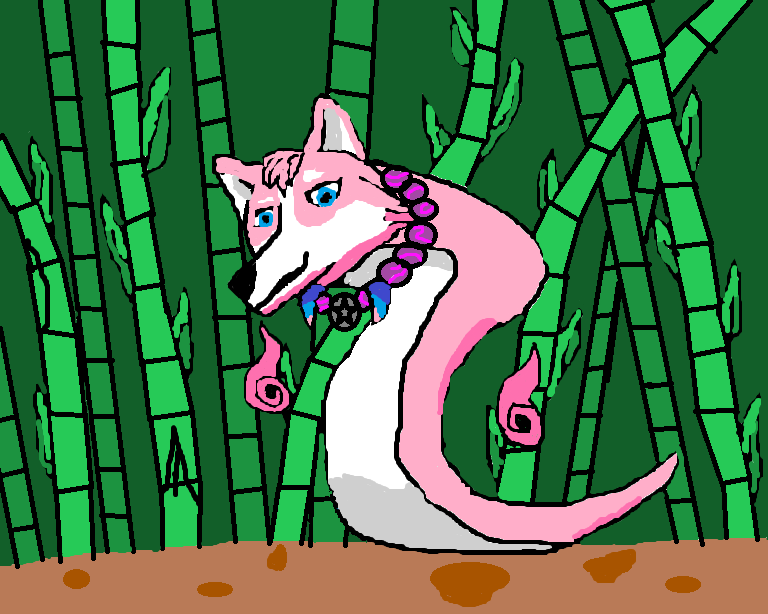 so here is my mates husky as a ghost dog like maradou and hakube from the anime! but my mate is far more powerful....so powerful he requires a very special unique coller to seal his awesome might!